Taste! 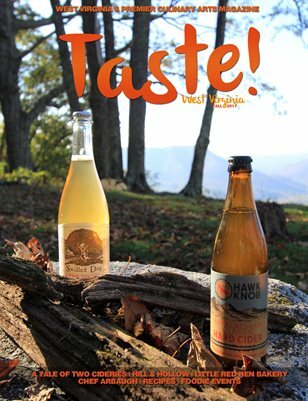 West Virginia Magazine is a quarterly publication highlighting the Mountain State’s ever-expanding culinary scene. In each issue, readers will find flavorful features on local eateries and handmade products, a profile on a talented chef or foodpreneur, event listings and, of course, yummy recipes. We hope you’re hungry!